Enjoy a full programme of captivating classical music from the 60 piece New English Concert Orchestra, complemented by toe-tapping vintage vocals, breathtaking Spitfire display, sensational freefall demonstration by The Red Devils parachute team, dramatic Napoleonic cavalry display and ground shaking live fire from over 200 cannons. Annual Pass holders are entitled to an exclusive discount for this event. Click the button to redeem. In a stunning setting overlooking the iconic Column of Victory, this quintessentially British ‘party in the park’ features magnificent musical firework displays, culminating in a flag-waving, sing-a-long spectacular including all the ‘last night of the proms’ finale favourites such as Jerusalem, Rule Britannia and Land of Hope and Glory! 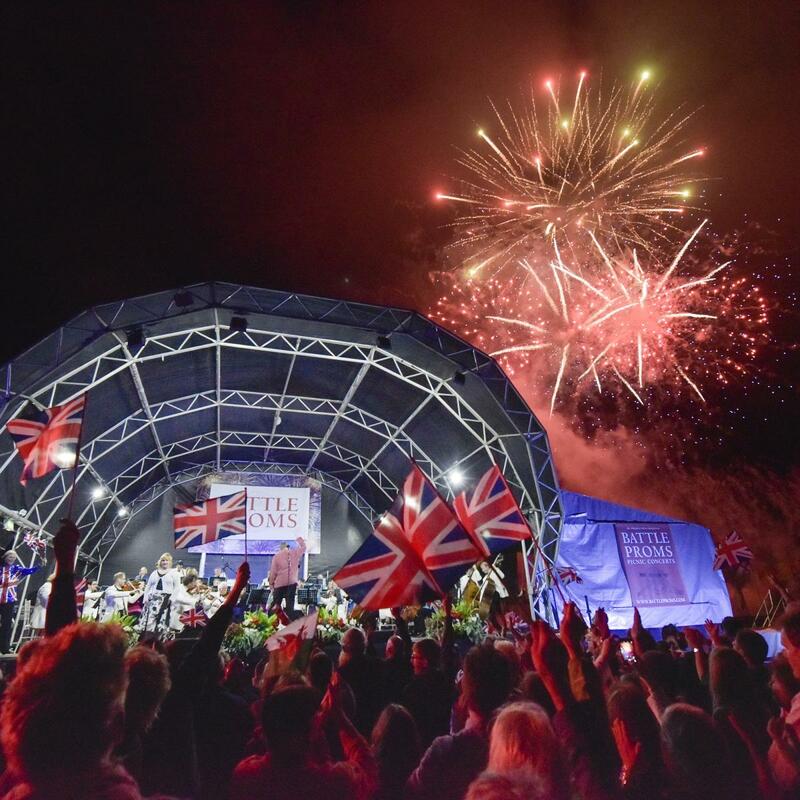 Since 2004, through audience donations and contributions from concert profits, Battle Proms events have raised over £389,000 for military charities. In 2019 they will again be supporting SSAFA, the Armed Forces charity, who provide lifelong support for our Forces and their families, whenever and wherever they are needed.